I find this passage relevant to many recent constitutional changes. Applying it to Brexit, a Burkean might argue that Ted Heath’s decision to take us into the EEC was a form of delusive meddling. But Britain’s integration with Europe grew organically since then. One of the biggest risks in Brexit is the radicalism of separation sought by its most fervent advocates. Burke’s lens argues for a more contemplative approach. Politicians do seem to be cottoning on – as suggested by the acceptance of a transition period. Jesse Norman identifies a number of lessons from Burke for today. Firstly, that we should recover Burke’s respect for social institutions as sources of human wellbeing. We’ve let slip this insight in our individualistic culture and need to pay more attention to nurturing the fabric of society. Related to this is the importance of human connection and identity. Upon these are founded enduring values such as honour, loyalty, duty, wisdom and love. Political leadership, indeed leadership of all kinds, should be in the service of these values: preserving social capital and approaching the idea of disrupting it with modesty. Norman argues that greater attention to these considerations could have avoided recent policy disasters from the Iraq war to the hollowing out of city centres. It might also have helped address the alienation that partly informed the Brexit vote. 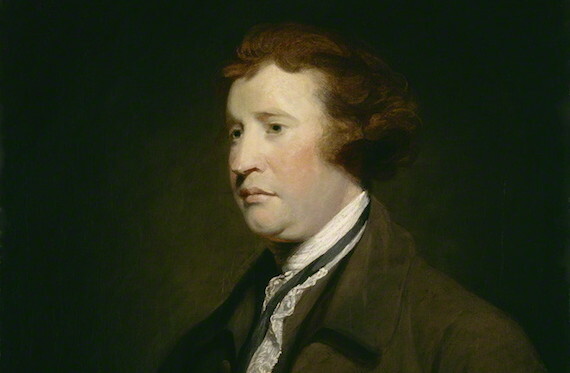 Burke’s views were shaped by the violent breakdown of society that he observed in the French Revolution. The will of the people is only one component of the social order he cherished and, for him, preservation of the social order was a higher order priority. This does not mean setting oneself against the will of the people. But deliberating how to interpret and meet it, and what considerations it should be set against, is the proper job of Parliament. Burke was not against change. Rather, he was sceptical of what me might now call the managerial impulse. In the face of tumult, he argues, simplistic answers are not helpful. The wise leader, in business as much as in politics, takes stock and contemplates first the demands of stewardship. Only from this perspective is it reasonable to contemplate change. 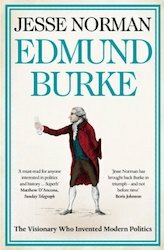 Edmund Burke: The Visionary Who Invented Modern Politics by Jesse Norman. Available from Amazon.